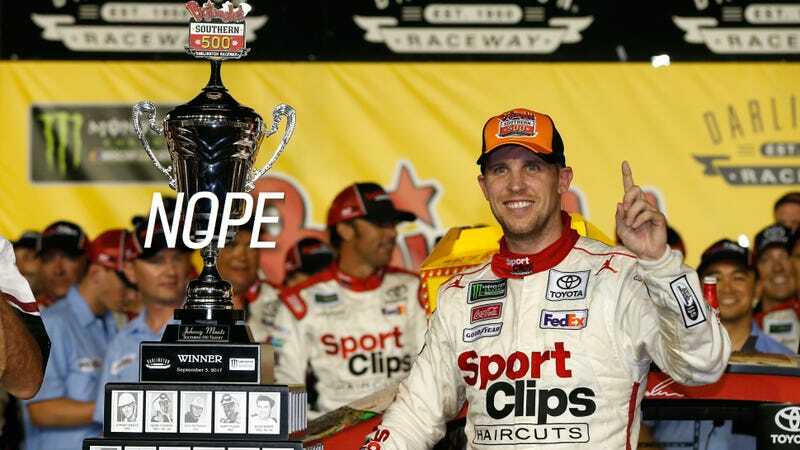 NASCAR driver Denny Hamlin won both the Monster Energy Cup Series and the Xfinity Series at Darlington Raceway this weekend only to have both wins “encumbered” after failing inspection—as in, made moot. Hamlin is still listed as the winner, but his win doesn’t count toward making the playoffs anymore and he receives no points for it. Curiously, both of Hamlin’s Joe Gibbs Racing entries in two different series failed for issues related to the rear suspension’s truck trailing arm spacers and pinion angle shims. I’d say it’s time to find something else to sneak under NASCAR’s inspection radar, as one does. Obviously, Hamlin’s penalties in the Cup Series matter the most, as that’s where he competes full time. In addition to having his win encumbered, Hamlin’s Cup Series crew chief Mike Wheeler was fined $50,000 and suspended for two Monster Cup championship points races. The team also lost 25 owner points and 25 driver points for the offense. Hamlin already won elsewhere in the Cup Series this season, so he’s in the playoffs regardless, however, this penalty means he’ll have to work with a different crew chief for the first playoff race at Chicagoland Speedway. In the Xfinity Series, Hamlin’s race win was also encumbered. Hamlin’s Xfinity crew chief Eric Phillips was fined $25,000 and suspended for the next two Xfinity Series championship points events. The team also lost 25 owner points. Additionally, Dale Earnhardt Jr.’s streak of bad luck in his final pre-retirement Cup Series season continues, as his final chance ever to win his way into the playoffs will have to be without his crew chief Greg Ives. The lugnuts weren’t properly installed on Earnhardt’s car, so Ives was fined $20,000 and suspended for the next race of the season. Hamlin wasn’t the only Xfinity car to fail inspection and get an encumbered finish over issues with the rear suspension truck trailing arm spacers and pinion angle shims. Joey Logano’s No. 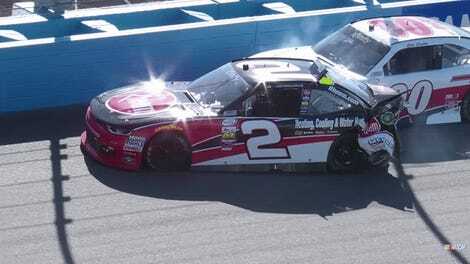 22 Team Penske car was penalized for the same problem. His crew chief Greg Irwin was suspended for the next two Xfinity Series championship points events and fined $25,000. Team Penske also lost 25 owner points as well. 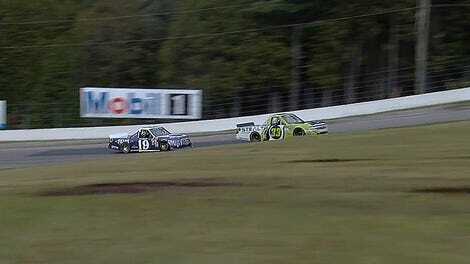 And of course, don’t expect any penalties for a NASCAR Camping World Trucks competitor intentionally spinning out the truck in front of him in order to steal the win last weekend. Somehow that seems a lot more egregious than simply running cheaty out-of-spec parts, but hey, I’m not the one in charge here. The sanctioning body elevated the L1 penalty for violating Section 20.14.2 Rear Suspension 1-4f Truck Trailing Arm Spacers/Pinion Angle Shims from a $50,000 fine, suspension of two races for the crew chief and the loss of 25 owner/driver points to a $75,000 fine, a three-race suspension for crew chief and car chief and the loss of 40 owner/driver points.